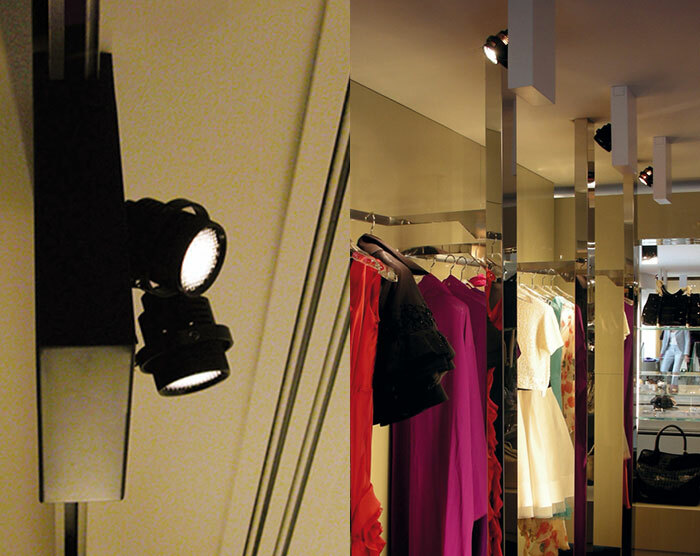 lighting unit for indoor applications IP20, made of white, grey or black-painted metal. dimensions profile: wired for two GU5,3 50W/led GU5,3 adjustable and dimmable dichroic lamps. it can be installed on walls or ceilings with the appropriate bracket or on tracks by using the adapter with its supports.